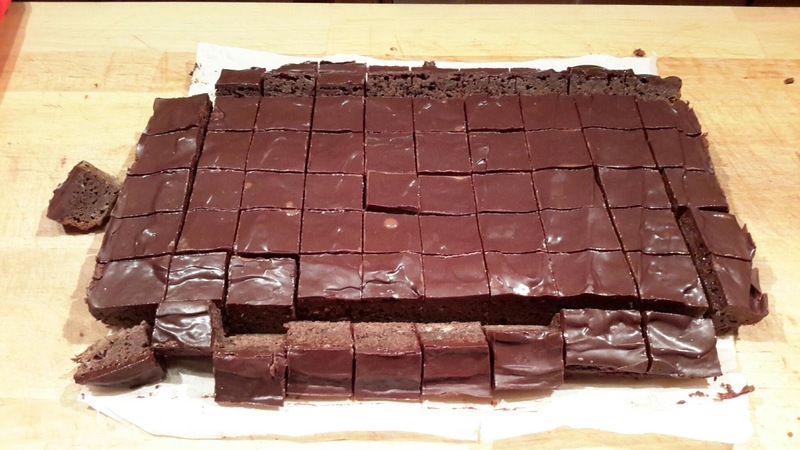 There is a lot of chocolate going on in these brownies! I did not have time to make the little decorations on top, but they certainly didn't need them. These are great for a party where people want a little brownie bite and not a huge brownie. The malted milk gives an unexpected but good taste to them. The husband was to take these with and get rid of them at deer camp. They went to deer camp, stayed in the truck, and arrived back home today uneaten. ...so much for not over indulging myself on chocolate! 51! ONLY 19 to go!